Disney Vacation Club, often referred to as DVC, is Disney’s version of a time share. Back in 1991, Disney introduced its new timeshare concept with one resort, known simply as The Disney Vacation Club. The idea was so popular that the DVC quickly expanded, and the original DVC resort is now known as Old Key West. There currently are several Disney Vacation Club (DVC) properties throughout the country. Most are centered around Walt Disney World, although there are villas in California at Disney’s Grand Californian Resort, and also in Hawaii, Vero Beach (Florida), and Hilton Head (South Carolina). Membership can also be used at other Disney properties and thousands of destinations around the world. There is much to consider when purchasing an ownership in Disney Vacation Club. There are Disney Vacation Club properties across the country. Most of the properties are located on Walt Disney World property, but there are some other options as well. The rooms at Disney Vacation Club properties are more than just simple rooms—they are villas. There are four main types of rooms: studio, one- bedroom, two-bedroom, and grand villa. For complete details about the villas, click the links above for each specific Walt Disney World Disney Vacation Club property. A studio villa will sleep four or five depending on the resort. Studios will have two queen size beds, with some also including a pull down bunk-sized bed. There is also a kitchenette in the room complete with a microwave, small refrigerator, sink, plates, flatware, glasses and toaster. A one-bedroom villa will sleep four or five depending on the resort. One-bedroom villas have a full kitchen complete with stove, oven, refrigerator, and a variety of dishes, utensils and other kitchen items needed to cook meals. The master bedroom features a king size bed and a bathroom with a jacuzzi tub. There is a pull out sofa that sleeps two in the main living area. Newer properties feature a pull out chair that sleeps one person on a twin bed and a second full bath. Check the floor plan and details for the individual resort to see what is offered. A two-bedroom villa will sleep 8-9 guests. The features are the same as above, with the addition of a second bedroom with two queen size beds or a queen size bed and queen size pull out sofa. Some two-bedroom villas are dedicated two-bedrooms (meaning that they are only available in this configuration) and some are a one-bedroom and a studio that connect. Guests can often book the specific dedicated or lock off accommodations. A grand villa is a three-bedroom villa, often on two levels. This villa will sleep up to twelve guests. The added features include a dining area and plenty of space for extended family and friends. A few resorts also have unique room types. At the Polynesian Villas and Bungalows, the Bungalows are 8-person accommodations over the water of the Seven Seas Lagoon. They have one king-size bed, one queen-size bed, one queen-size sleeper soda, and two pull-down bunk-size beds. The Saratoga Springs Resort and Spa also features Treehouse Villas. The Treehouses can sleep up to nine guests, and have two queen-size beds, one queen-size sleeper sofa, one bunk bed, and one sleeper chair. Many traditional time shares work on a week system. 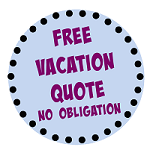 Guests purchase ownership for a certain week during the year, and that is the week they travel and use the property. This is not how Disney Vacation Club operates. Disney Vacation Club owners purchase an allotment of points. The points are used to “pay” for the accommodations. The time of year, size of the villa, and even day of the week all factor in to how many points are used for each night in the villa. The points are allotted every year. So, for example, if a DVC member purchases 200 points, then each calendar year a new allotment of 200 points are placed in their account. Each contract starts in a specific month of the year, and that is the month during which members receive their points. This month is called a “Use Year.” So if the member’s contract has a March Use Year, each March the new set of points becomes available. Size of the accommodations. A bigger villa will require more points per night than a smaller one. This is just like a hotel room. A larger room will cost more at a traditional hotel than a smaller room. Day of the week. Weekends require more points than week days. Time of Year. Holidays and busy times will require more points per night then slow times. Location of the Resort. Resorts closer to the theme parks often have a higher point cost per night than those not close to a theme park. Know that just because the resort is not closest to a theme park does not mean quality is lower. Old Key West, for example, has a relatively low point cost but also has the largest rooms in the system. Here’s an example: Given 200 points – A family of four, sleeping in a one bedroom unit could spend a week at Disney’s Old Key West in early December, using 160 points. They would have 40 points remaining, which they could use for 4 weeknights at Disney’s Vero Beach in a Deluxe Garden Inn room in July. The beautiful part is they get to look at the charts and decide where, when, and how often they can go based on their annual allocation of points. A point to ponder: Unlike a traditional timeshare, owners may stay at their DVC homes for as little as one day at a time instead of being locked into a whole week – a feature that has bothered traditional timeshare owners for years. Once you decide how many points your family needs, the next choice is how about a home resort? Disney allows members to make reservations at their home resort up to 11 months in advance, but at all the other “non-home” DVC resorts reservations can only be made up to 7 months in advance. Points are points are points, but the home resort is a much-debated topic so your families travel habits should be considered. Not every resort is available for purchase at any time, especially when it comes to older resorts. Disney will be able to tell you what is available. A resort’s points will eventually be sold out. Your point allocation is good for one year. So in our example above with a March Use Year, the member receives their 200 points for the year on March 1. They have until February 28 of the following year to use them, or they will be forfeited. There are two ways around this though: banking and borrowing. Banking points allows members to keep the points for an additional year. Members can bank a full year’s points. Banking allows one more year to use the points. They can only be banked for one year and must be used. There are rules for the timing of banking points, too (usually, you must bank 4 months before your use year allocation date). Members are allowed to borrow the following year’s points as well. Once the points are borrowed, though, they can’t go back. Here’s an example of how this might help. A member with 200 points can not use them and bank 200 points in 2015 for use in 2016. The member can also borrow their 2017 points. With some strategic planning, this allows the member to use more than 200 points for a special vacation in 2016. Of course that sacrifices using some (or all) of the points in other years. Currently the price per point for new members varies. Currently, the resorts being offered directly by Disney are Aulani and the Polynesian Villas and Bungalows. Ownership costs $171 per point, and generally you must buy at least 100 points to start. Remember this is a real estate contract. That means there may still be closing costs associated with such a contract. There is also the ability to have a loan through DVC for the purchase price. It is also possible to purchase a resale contract either directly from a current owner who is selling or, more commonly, through a reseller (broker) who will help facilitate the transaction. Buying from a reseller can be considerably cheaper and also give you access to the entire range of DVC properties as your home resort. However, there are some DVC perks and privileges not available to those who purchase through a reseller. For example, resale buyers are not able to use their points for non-DVC collection locations, such as cruises and partner hotels, and are also not eligible for special events and discounts, including special ticket pricing. It is up to you and your family if those restrictions are important to you. Each resort charges fees that go toward maintaining the property. The fees vary from resort to resort, but currently range from approximately $5.10 to $8.09 per point. Your home resort determines how much you will pay and how much Disney charges on a per point basis. These fees cover maintenance of the DVC property as well as a prorated portion of the property taxes. DVC management uses these fees to maintain and upgrade the properties. If you are thinking of buying into DVC, the relative cost of maintenance fees between the various properties should definitely be a consideration. DVC resorts have a lease term expiration. That date depends on the purchase contract. Most memberships purchased before Saratoga Springs was build have an expiration date of 2042. Saratoga Springs, and those resorts built since then, have a lease term that expires in 2054. 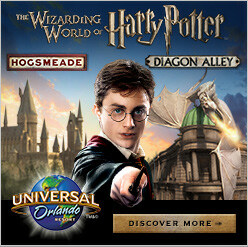 Unlike a traditional timeshare no one gets to own a piece of the magic forever. Only Disney knows what will happen after these terms expire. A few years ago a test program was offered to certain Old Key West owners to extend their membership. Whether this will ever be repeated for other resorts is unknown. While DVC should always be bought for personal use, many members are not be able to always use their points every year. As such, members are able to occasionally rent their points to others wishing to utilize DVC resorts without buying a membership. Please note that this can be a risky transaction as reservations usually can’t be cancelled or altered in any way and must be paid for completely in advance. DVC Members not only get a big “Welcome Home!” anytime they arrive at one of their resorts, but they can also take advantage of a few dollar-saving benefits that aren’t available to the ordinary family traveling to Disney. Disney’s Members Only website (www.dvcmember.com) lists and updates these benefits regularly. Perks can and do change, so consider this a little benefit of membership and not necessarily a reason to purchase. Also remember, as mentioned above, that resale buyers no longer have access to these perks. 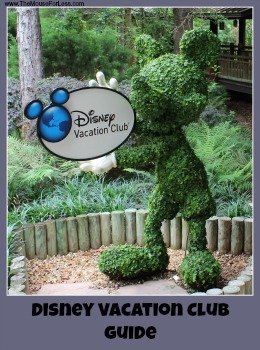 Disney Vacation Club Members can also use there membership at a variety of other locations. Exchange options are available for members who purchase directly from Disney (i.e. those who purchase a resale contract are no longer eligible for these member getaways). The Member Getaways are broken into three groups. This collection consists of primarily full-service hotels throughout the world. They include a wide range of diverse hotels such as beach escapes, mountain retreats, or world-class cities. A transaction fee (currently $95) applies to these destinations and is non-refundable. There are other rules that apply to the timing of these bookings as well. This is a traditional timeshare exchange program. Exchanges are available in varying lengths of stay from RCI and Buena Vista Trading Company. There are literally thousands of options available throughout the world with this option. Members can book up to two years ahead through this option. Exchanges are subject to a $95 non-refundable transaction fee and are final. This collections opens the world to DVC members and virtually endless types of vacations.